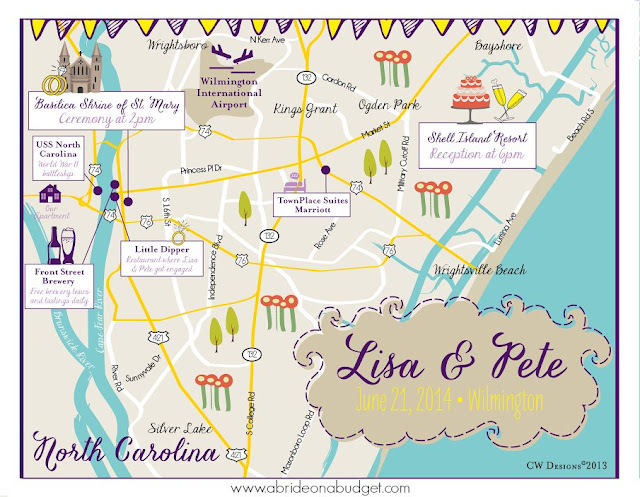 Do You Need A Wedding Map? Chances are, you have a GPS in arm's reach right now. (Is your smart phone close?) And, if you don't, you probably have one in your car. Because of this, I often get asked if you need to include directions in your wedding invitations. 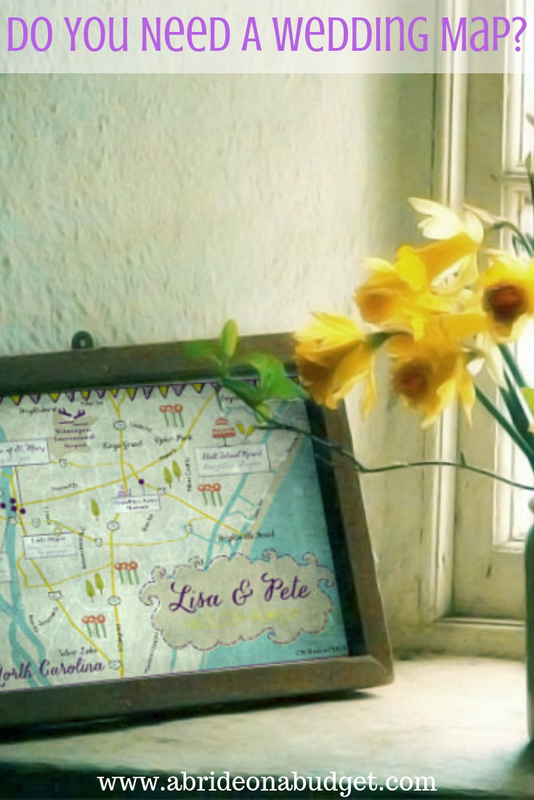 Do you need a wedding map when directions just a few button pushes away? 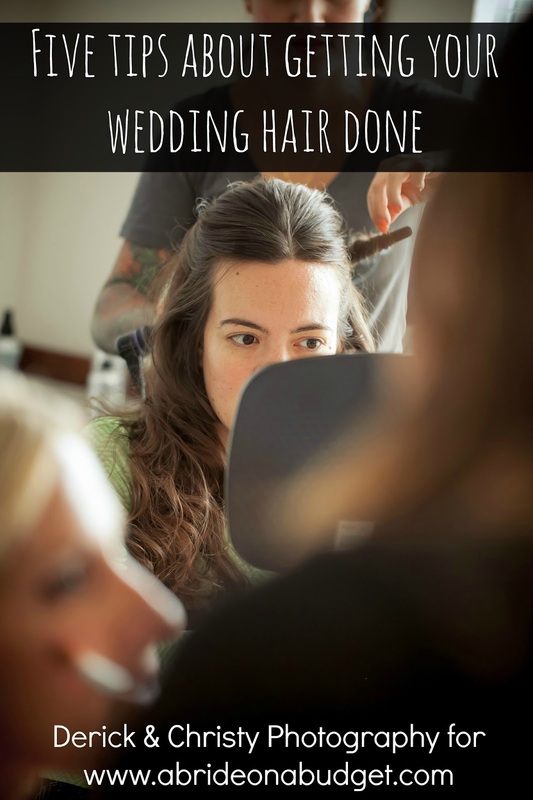 Directions have turned into a cost that brides are hoping to eliminate. Plus, if you have a GPS in your pocket, you're probably going it ask it for directions instead of consulting the card that came with your invitation. So do you need a directions card? Simply put, no. You don't need to include it. 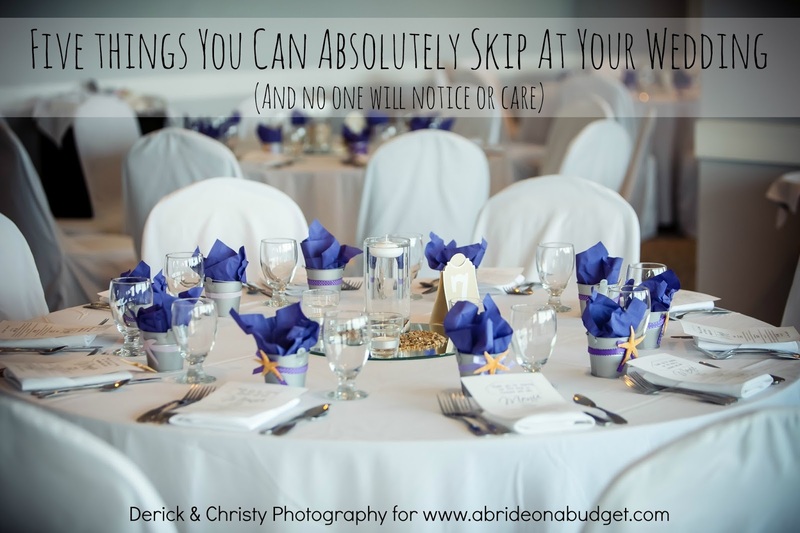 But honestly, you don't need anything at your wedding except your spouse-to-be. You can argue against any part of your wedding (you don't need to serve dinner; you don't need to give out favors; and you definitely don't need that unity candle. Skip that, please, but keep dinner). Honestly, though, no. You don't need a directions card, especially if you're like us and book a shuttle to drive your guests to and from the hotel and reception. If your guests aren't driving, they definitely don't need directions. I would (and did), however, replace that with a wedding map. If your guests are unfamiliar with the area, they can still find their way from the hotel to the venue with a GPS. But they can't find their way around town if they don't know where to go. If they want a snack between the ceremony and reception, or if they just want to go sightseeing, they need help. And you're off being very newly married. You can't help them. But a wedding map can. 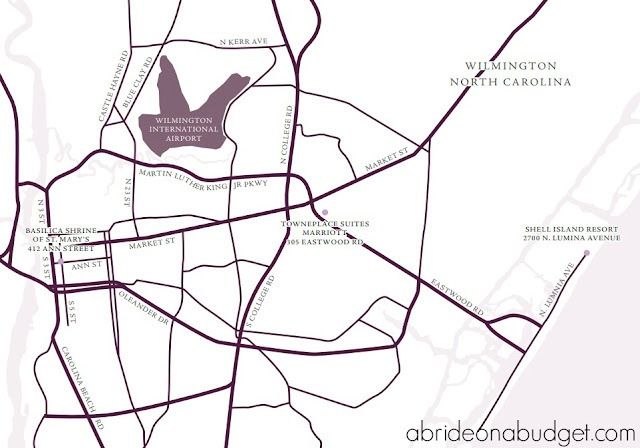 Nicole from Glossie (who designed our full invitation suite) designed us a small map to include with our invitations. It was the size of our RSVP card and had a few landmarks noted on it (the airport, the hotel, the church, the reception venue, and the park where our rehearsal dinner was). We enclosed one with each wedding invitation and mailed it. Then, Carol from CW Designs, who is the best wedding map designer I know, created a full-size customized wedding map for our wedding welcome bags. 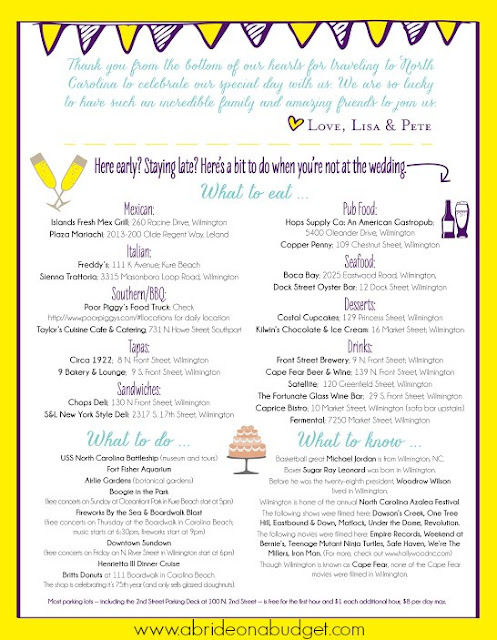 The front was similar to the map in the wedding invitation in that it highlighted the same locations. And that's really important. 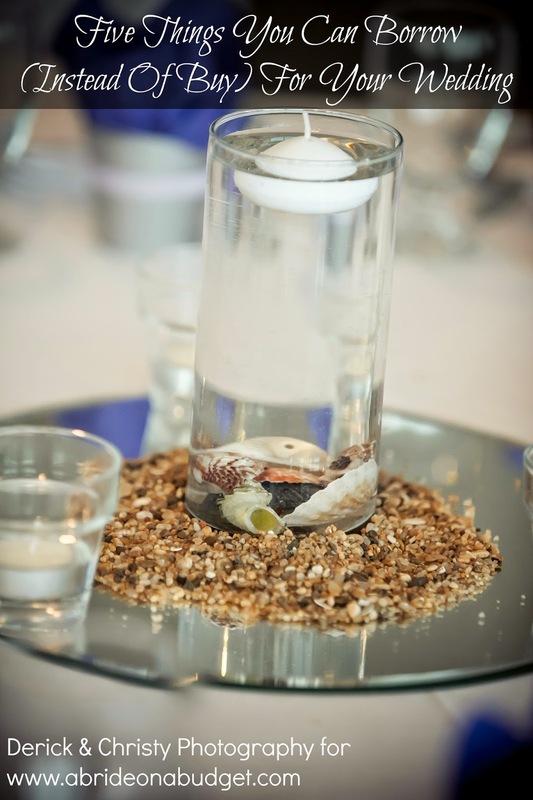 Even if you don't give your guests directions, you want to give them a sense of where they are. The map that Carol designed us also included our apartment, the restaurant where we got engaged, and a local brewery that we thought our guests would like. The back of the map, though, was the star. Our guests were mostly coming from New York to our North Carolina wedding. Many of them had never been to our town before and most were staying for a week. We wanted to help them have the best experience possible. So Pete and I sat down and went through the (many) restaurants in our area to choose our favorites. We broke them down by cuisine (Mexican, Italian, Southern/BBQ, Tapas, Sandwiches, Pub Food, Seafood, Desserts, and Drinks). We picked our top two restaurants (except for drinks; we went with six there). We had the name of the restaurant and the address under the "What to eat ... " section. Then, there was a "What to do ... " section where we listed a few of the more interesting tourist locations. And the final section was "What to know ... " We live in Wilmington, NC, which is dubbed both Hollywood East and Film-ington. Studios film here. A lot. So we mentioned a few TV shows and movies that were filmed here (One Tree Hill, Empire Records, etc.). And then we gave a few other facts (Michael Jordan is from here, for example). We both like to know about places we visit, so this was our way to give some facts to our guests and let them know where they are. And then, at the very bottom of the map, we let them know how to get free parking downtown. Because who doesn't like free. I sent all the information to Carol and she formatted it and made it look pretty. The map is way out of my skill set. I probably could format the back of it now, since I'm way better at graphic design than I was four years ago, but a DIY wedding map is something I absolutely have no idea how to do. Sometimes, you need to go to the professionals. I'm not sure how much of our list our guests actually used (because we had four days of wedding activities, so we did sort of monopolize their time a lot), but I got such compliments on these wedding maps. 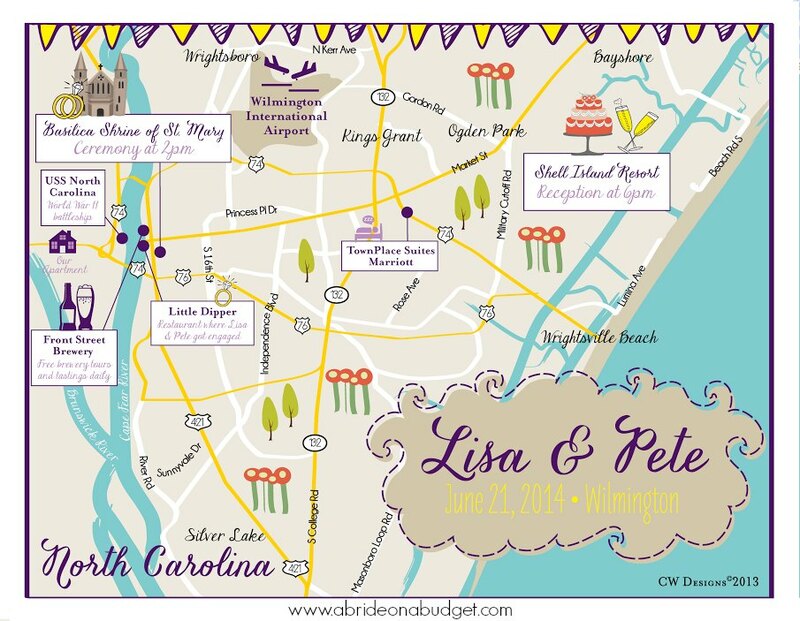 I never once heard someone say they wished we included a directions card in our invitation, despite the fact that I was adamant on having one, but I did hear a ton of people gush about our wedding maps. 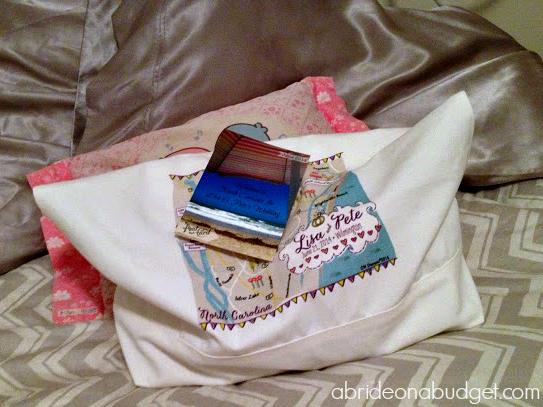 Side note: I actually used the wedding map illustration to create a throw pillow. It was on our futon in the living room for years (first in our apartment, then in our house) until we got a grown up couch and the futon moved upstairs. The pillow moved with it. BRIDAL BABBLE: If you were making a wedding map, what information would you include?